A comprehensive workshop series for expectant parents designed to ensure you have all the education, tools and support you could need as you prepare confidently for your upcoming birth and the early days of caring for your new baby. What makes Daisy Parent® so different? When it comes to preparing for your baby’s birth and caring for their needs in the early days, any number of emotions can overwhelm us. There are so many confusing guides, check lists, shopping lists, experts and education that it can be hard to know where to start, let alone be on the same page with your partner! Daisy Parent helps you and your partner not only prepare for a confident birth but prepare for confident parenting in the eary days of caring for your newborn baby. This key step of your continuous perinatal support takes the best elements of traditional antenatal classes and parent preparation classes and wraps all of these together in a powerful 5 element model that allows you the confidence that comes from realising you can do this together. The Daisy Parent workshop is designed for mums to be and their birth supporter. We cover traditional antenatal education combined with looking at induction and medical interventions in an understandable way should your birth take that route. This combination ensures you are actively informed and prepared to make choices for you and your baby on your birthing day. We teach evidence-based education that is inclusive of all birth preference and parenting methods. We recommend you attend our courses in conjuction with any classes that may be provided by your local maternity unit or hospital. In our workshops not only are you given the additional benefits of time and individual attention, but you also gain a deeper confidence and understanding through exploring all techniques and key topics with your birth partner. From the point you see that little blue line you are already starting the process of thinking about what parenting choices you will make such as dummy or no dummy, sling or buggy, nappy or re-usable and routine or baby-led. We share unbiased education and facilitate discussions on all parenting options so that you can start to plan, shop and prepare for baby’s arrival. As no preference is favoured you will have the ability to explore new and old ideas to see what feels right for you and your baby. By exploring and learning about all parenting choices you will have the confidence to be able to be flexible and adapt at any given time. As we know, what works for one baby may not work for another – so learning different methods will allow you to be able to adapt your style to meet your changing baby’s needs. Your Daisy teacher will guide you through practical baby care activities including topping and tailing, nappy changing, bathing and dressing using all the up to date recommendations. You will see in action practical demonstrations with the opportunity for you both to join in if you wish. Not only will you learn the ‘how to’ along with any alternate options available but also the hints, tips and education behind the methods. From understanding your baby care choices you can navigate through the myriad of products, clothing, gadgets and equipment which can be overwhelming when planning for baby’s early days. Baby safety covers many topics from an accident prevention perspective (we like to help you avoid them happening in the 1st place!). During your workshop you will also learn about safe sleeping guidelines, sterilising methods and product safety/quality mark awareness. Your teacher will share with you a wonderful repertoire of calming and soothing techniques, which will help you lay the foundations for a happy and contented baby. With learning positive connection techniques and understanding your baby’s cues you will gain a confidence in your own ability to respond to your baby’s needs long before they become distressed. 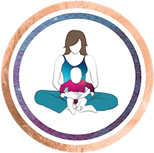 Teachers will share with you methods of calming which meets baby’s senses and needs, allowing you to find the methods that are right for you and baby in any given moment. You will find these new skills valuable perhaps during evening bouts of colic, comforting fussy babies or to ease the impact of cluster feeding. They will often become firm favorites at bedtime as you help to ease your baby off to sleep. 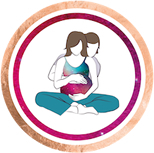 You will learn how to re-create the rhythm, noise, comfort and security of the womb for baby, helping them in their transition from womb to room. Alongside the education parents choose Daisy to learn breathing, movement, massage and relaxation techniques and to also have the opportunity to put these techniques in to practice. 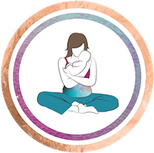 Movement is fundemental in allowing your body and baby to work together – encouraging your body to be responsive for a more efficient, comfortable and confident birth. By combining education with practice, your body, breath and mind will work together with ease on baby’s birthing day. 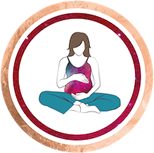 You will learn how to layer the combinations of breathing, movement, massage and relaxation in such a way that you can instinctively work with your body and baby during labour, birth and beyond. Breathing techniques are crucial to aid your baby’s birth by fuelling your body with the oxygen needed to allow your uterus to work as it should. 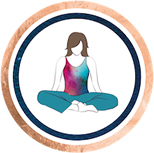 Relaxation techniques can help minimise adrenalin, which can slow down the birth process and inhibit your ability to make informed choices and to feel confident and in control. These skills can also be used throughout life to aid relaxation for all the family – which will be particularly useful throughout the tiring and challenging first few months with baby. Knowing that together you are as prepared as you could possibly be for your baby’s arrival, have a network of friends at the same stage and are ready to become confident parents is the next step on this amazing 1001 day journey of continuous perinatal support to confident parenthood. 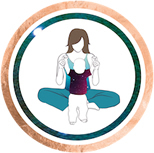 Daisy Parent workshops are for expectant mums and their co-parent, are suitable to attend from 30 weeks pregnant right up until baby’s birth, and are adapted to suit all pregnancy related conditions, birth plans and parenting choices with ease. 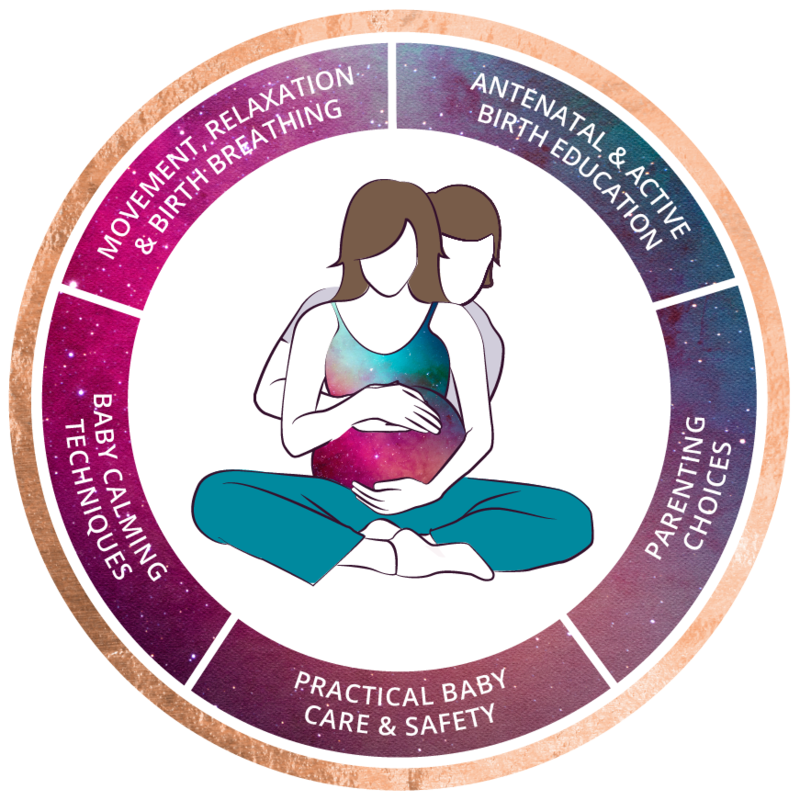 Our entirely comprehensive Daisy Parent format draws on elements of active birth, parent craft and traditional antenatal classes to create one very powerful combination. From birth plans to massage in labour, informed choice to packing hospital bags and feeding your baby to changing their nappy – we’ve got you covered.